Delivering a quality audit, is Assurance Dimensions top priority and our team of experienced professionals strive to ensure that this is delivered. In a dynamic and evolving environment, SEC Registrants and Issuers need a CPA firm that can help their company navigate the regulation. We recognize it’s important to look beyond the accounting entries to the underlying activities and operations and understand the challenges companies are faced with. As a PCAOB registered firm, we serve as the independent auditors for various micro- and mid-cap public companies in a wide range of industries. Three parties (the audit committee, management, and your auditor) are operating in an increasingly complex environment and must work together to develop a comprehensive yet efficient audit plan to objectively assess and reduce risk while meeting regulatory guidelines. The reporting and compliance requirements that impact audit committee members and management are often time-consuming and overwhelming. Assurance Dimensions utilizes experience and understanding to deliver straightforward advice. Whether you’re pre-IPO, a periodic reporter, or evaluating a potential transaction, we can help your team throughout your business’ lifecycle with services such as acquisition audits, form filings (e.g. annual 10Ks and 11Ks, quarterly 10Qs, periodic 8ks), initial public offerings (IPOs), internal audit co/out-sourcing, registration statements, and Sarbanes-Oxley (SOX) 404 compliance. Please also see our Broker Dealer Audit Examinations and Surprise Audit Examination pages for information in regards to Broker Dealers. FAQ: What is the purpose of an independent financial statement audit? Answer: To provide financial statement users with reasonable, but not absolute, assurance that the financial statements prepared by management are fairly presented in conformity with accounting principles generally accepted in the United States of America. FAQ: How long does it take to complete an audit? Answer: The audit timeframe will vary depending on the size of the entity, its internal accounting & bookkeeping functions, and the complexity and nature of the specific transactions it engages in. FAQ: Will the audit be completed to meet filing requirements and deadlines? Answer: Assurance Dimensions works hand in hand with the client to ensure that the audits are completed and any deadlines and / or filing requirements are met. Our continued commitment to provide quality audits is derived from the client relationships that we have built. Our experienced professionals work with clients to obtain the necessary audit support in a timely manner to ensure the audit is completed in accordance with required PCAOB standards and simultaneously meeting the filing requirements. FAQ: How can I be guaranteed of the audit quality? Answer: All PCAOB registered CPA firms are required to undergo detailed peer review inspections every three years. These final issued inspection reports are publicly made available on the PCAOB website. 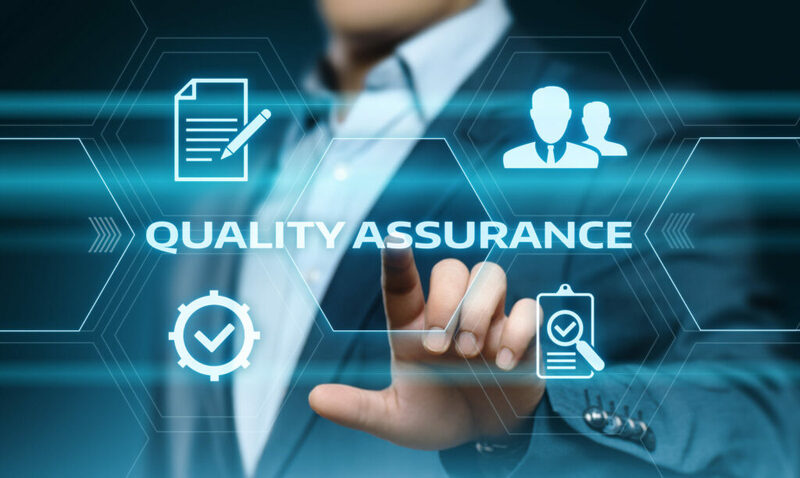 In addition, Assurance Dimensions is committed to employing experienced and talented professionals that strive to ensure a quality audit is performed and a valuable service is offered to all our clients. Specified supplemental schedules subject to auditing procedures applied in our audit of the financial statements and certain additional procedures. We look forward to hearing from you. You can also send a message or request an appointment through the contact form below. Assurance Dimensions is proud to be the auditor for multiple members of the National Association of Veterans’ Research and Education Foundations. We continue to focus our nonprofit work with veteran related organizations to give back and provide expert advice in the fields of research, education, and housing programs.